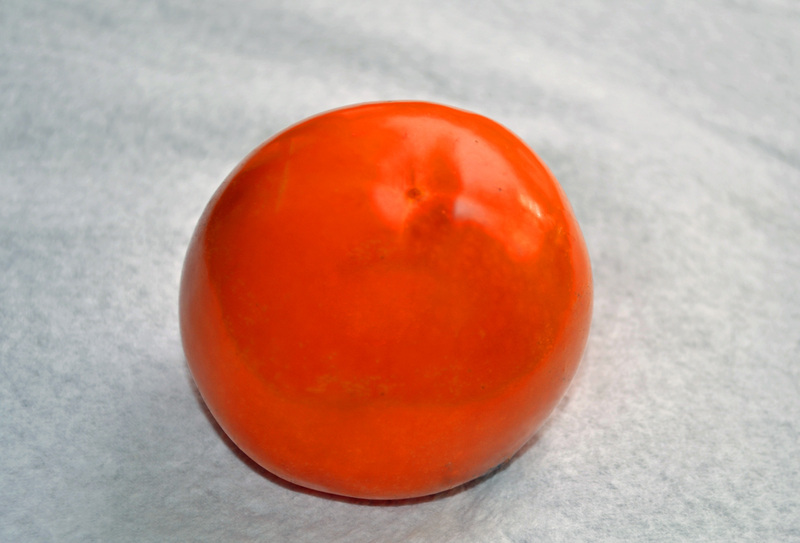 I am a Persimmon Convert! I take back every bad thing I have ever said about Persimmons. When I first moved into my little house in the country I was overjoyed at the edible trees and plants in my front yard. I have a Bay tree, a Rosemary bush, a Mint plant, an Apricot tree, an Olive tree, a Fig tree, and a Persimmon tree. I use most of what grows in my yard on a regular basis, except the Persimmons. I tried a Persimmon my first autumn in Italy, and I hated it. 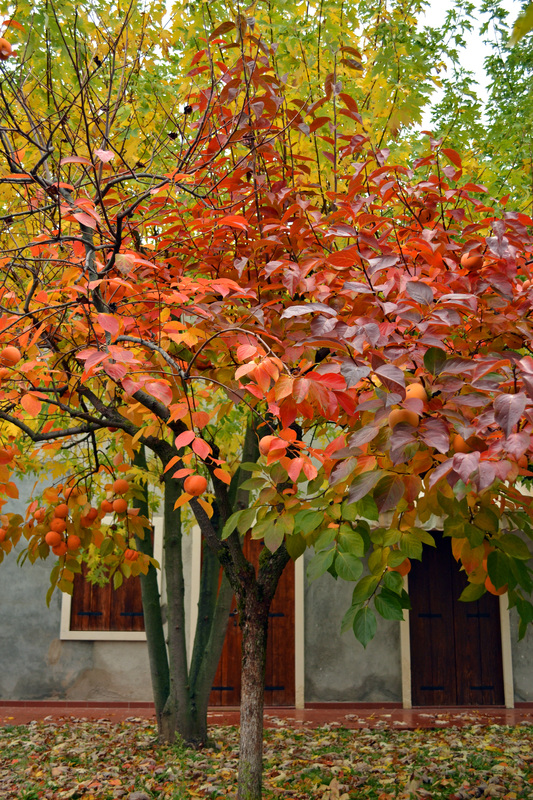 I have always loved the actual Persimmon tree. Its leaves turn bright orange and yellow in the autumn, and it becomes the prettiest thing in my yard. 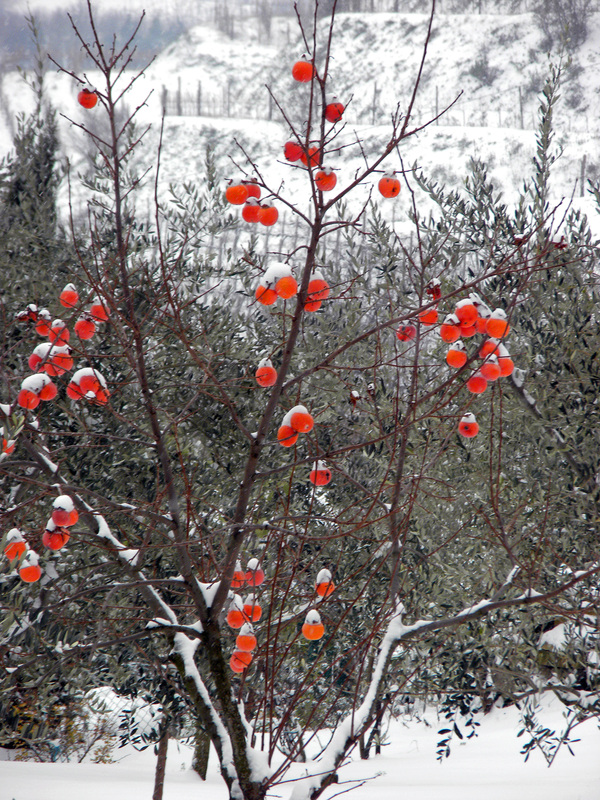 Then, in the winer, the branches are bare, except for the bright orange fruit. When it snows they look like tiny pumpkins wearing frosty hats. Other than enjoying my Persimmon tree for its aesthetic value, I pretty much left it alone. Earlier this summer, my mother and I were talking about my severe dislike of Persimmons and she told me that she thought I ate my Persimmon before it was ripe. I agreed to give one more shot when they ripened in the fall. This morning I went hunting for the ripest of the bunch. I picked one that was bright reddish orange and mushy to the touch. If it were any other fruit it would be considered over ripe and on the verge of being spoiled, but apparently that is the perfect time to eat a Persimmon. When I cut it up it looked pretty much exactly as I thought it would, which is not saying much, but when I ate my first piece I was in love. The flesh is very sweet, like a mango, and the mushiness isn’t gross at all, it is the perfect texture in your mouth. My mother was right, I ate the first one too soon, and I am so glad I gave it a second chance. I am now on the hunt for ideas to use up all the Persimmons, I think my first project is going to be Persimmon jam! 7 Responses to I am a Persimmon Convert! I think I have a recipe for persimmon cookies. Used to anyway but alas no persimmons. Persimmon cookies sound wonderful! If you run across that recipe please send it along! I can’t believe I ever hated Persimmons! In Italy, Persimmons are called Kaki, I think I like the english name better! 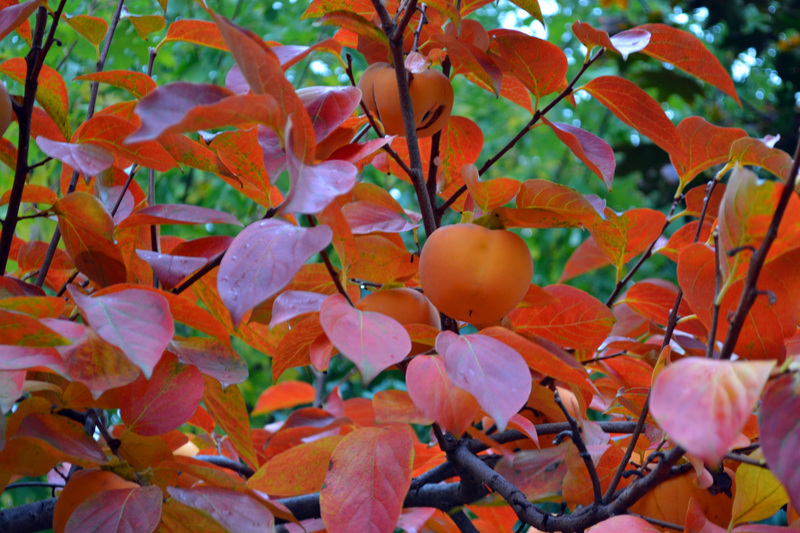 Diospyros kaki is the botanical name for the Japanese Persimmon. 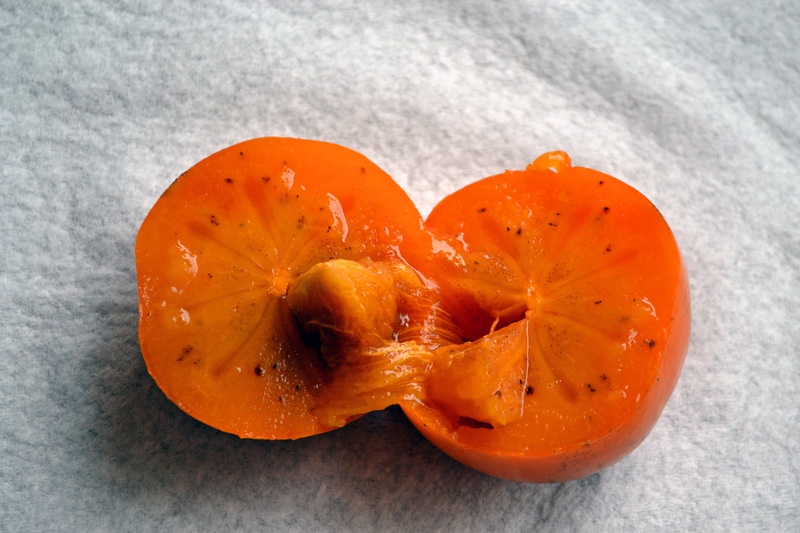 Actually, the botanical name for Japanese Persimmon is Diospyros kaki.